Combination air, dirt and hydraulic separator that combines high performance air and dirt removal with hydraulic separation. Pre-formed insulation on 2"- 4" sizes. Stainless steel internal coalescing mesh. 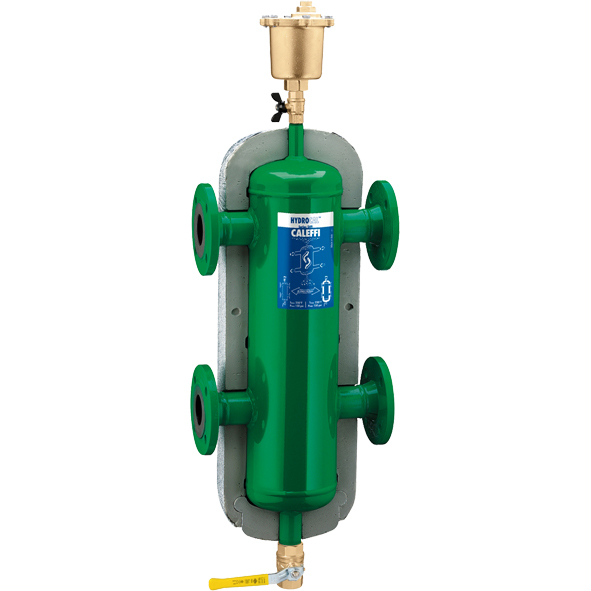 "NA" code prefix indicates ASME tagged and registered with the National Board of Boiler and Pressure Vessel Inspectors. Codes with the denotation of CRN indicate that the item is accepted and registered by the Canadian Registration Number (as defined by CSA B51 4.3).